There are quite a few different types of fluid that your vehicle needs. 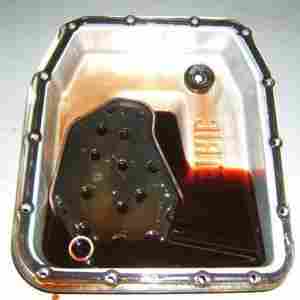 One of the most important ones is the transmission fluid. This is a fluid that needs to be changed, but what is debated is how long you should go between changing it. Most maintenance schedules for the manufacturers say that you should change it at the 100,000-mile mark, or as with Ford, every 150,000 miles. Many mechanics believe that this is just too long to wait and recommend a transmission fluid change at every 50,000 miles. 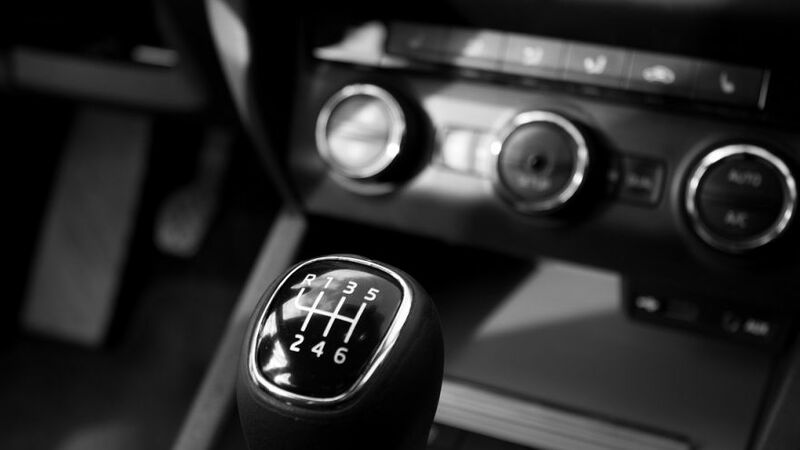 That being said, if your vehicle has a manual transmission, it will need more of the gear oil than the transmission fluid and they also tend to have a different schedule for maintenance, so in essence, to know when to change the fluid, regardless of the make or transmission style, check your owner’s manual. Like the other automotive fluids, the fluid for the transmission does deteriorate with the passing of time. Using it hard – such as with trailer towing, carrying heavy loads, or the stop and go driving in the city – can make that deterioration speed up. This type of driving makes the operating temperature of the transmission higher and that heat means that both the transmission and its fluid have to work harder. 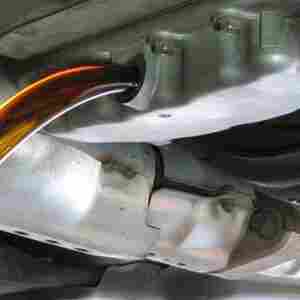 The thing about transmission fluid is that it functions as both a hydraulic fluid to facilitate the shifting of the gears and as a lubricant. It also cools the transmission down. If your driving includes a lot of high-stress conditions, you will need to check the fluid level more often as well as taking your vehicle in to the shop so that the professionals there can check the condition of it. Typically, this fluid is red and as it deteriorates, it takes on a darker hue. 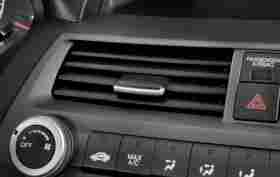 It can also begin to smell burned and when it does this, it is indicative of it needing to be changed and that the transmission itself might be having a few issues. If you want your transmission to have as long a life as possible, you will need to change the fluid in it periodically. As this fluid ages, you may begin to have difficulty with shifting, or the vehicle may begin to stall while you are idling. Here is how to change this fluid yourself. Use the dipstick to check the level of this fluid. Automatic transmission fluid is what is used in vehicles that are equipped with an automatic transmission. The fluid is typically red, but some manufacturers use green fluid. The reason for the color is to help people keep from getting it confused with motor oil or any of the other fluids the vehicle uses. Most of the time, you will be able to use the dipstick for this. Do it with the engine running. To use the dipstick, you will need to locate it. Generally, the transmission fluid dipstick has a red handle. It will be clearly labeled and located where you can easily access it. Most of the time, it will be near the dipstick for the oil. This dipstick will have a reading for hot and cold. If the engine hasn’t been running for around an hour before you check it, and you don’t live in a climate where it is really hot, check the cold reading. If the level of the fluid is low, but the color of it is clear, you can get away with just adding some fluid to it. If the fluid has a sludgy or discolored appearance, it is time to change it. If you are at the required mileage that the owner’s manual indicates for a change, you can skip this part. Now you are ready to lift your vehicle and support it with jack stands. You need to be sure that you have left enough room for you to get under the vehicle and that you have supported the jack stands properly. Always make sure that you park on an even, flat surface when you will be working under your vehicle and use chucks, stand supports, or another acceptable type of bracing to make sure that you will be safe in the event that the jack stands fail. Find the pan for the transmission fluid. This will typically be attached right underneath the transmission and feature 6 or 8 bolts. You will need to be under your vehicle to find it. If you have a front wheel drive vehicle, the transmission will generally be under the engine bay. If you have a rear wheel drive vehicle, it will typically be underneath the console area. Take a close look at the pan. 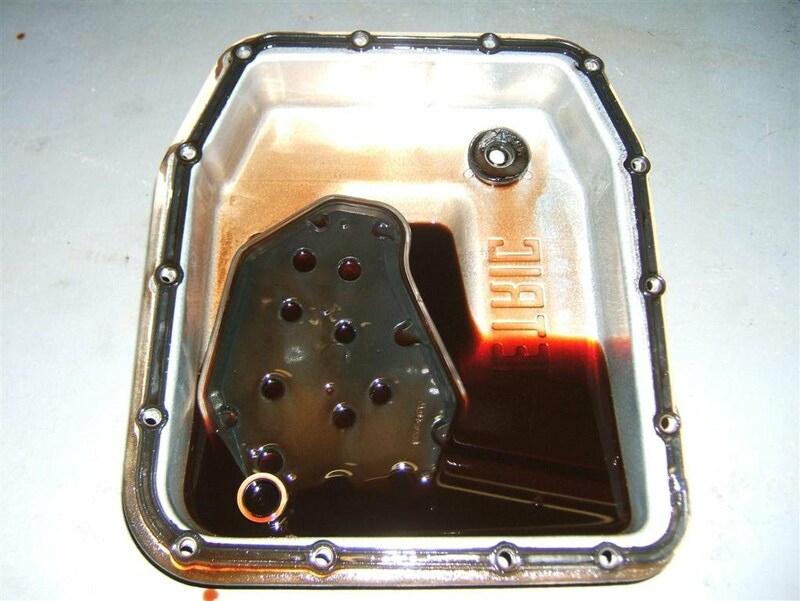 Most of the time, you will be able to get the transmission fluid drained simply by removing the drain plug located in the middle of the pan and then allowing the fluid to flow out into a receptacle. However, on some vehicles, you might need to completely remove the pan. There will be small bolts on the edges of the pan that hold it to the transmission. Just unscrew these and pull the pan off. Before you drain the fluid, place a collection pan or receptacle underneath the drain. You can find these for a few dollars at most auto parts houses. If your transmission doesn’t feature a drain plug, things can get quite messy. In these situations, the fluid will actually drain from around the pan, and you will need to have a receptacle that is larger than the actual pan in order to not make a mess. 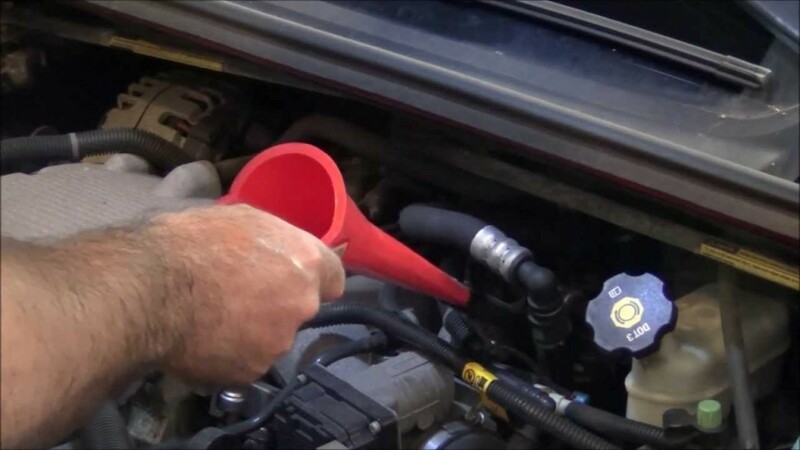 When you are ready to drain the transmission fluid, just unscrew the drain plug or take the pan off and then the fluid should begin to immediately drain. You will more than likely get some of this fluid on your hands but try to keep your chest and head out of the way. Just put your receptacle under the pan, pull the plug, and get out of the way. If your vehicle necessitates the removal of the pan, unscrew two of the bolts about halfway, then the rest of them all the way. Once you have unscrewed the final bolt, the pan might drop down a bit and allow the fluid to drain. You might have to tug on it a bit if it doesn’t drop down. Take a look at the fluid that is coming out. Most of the pans for automatic transmissions feature magnets inside them that are meant to collect any metal shavings that may have been produced by the moving parts. Be sure that you get these shavings out of the pan. These are normal and are the result of normal wear and tear with the gears. Any odd shaped or large chunks are not the norm. Keep track of pieces like this and find a local certified mechanic who can tell you what is going on with your transmission. About half of the fluid will stay in the transmission when you get it drained. If you want to remove all of it, including what is in the torque converter, you will need to do a complete transmission flush. This is incredibly more involved. Take a look at the filter and gaskets for the transmission fluid. If needed, replace them. They won’t need this every time, but if they are leaky and/or cracked. You will need to get new ones. Now it is time to put the pan assembly and drain plug back in place. Tighten all of the bolts with either a torque or socket wrench. Make sure that you don’t over tighten them. Once you have gotten everything back in place, you can take the vehicle off the jack stands and put the new transmission fluid in. Make sure you use what is recommended by the manufacturer of the vehicle. Check your owner’s manual for this information. Most of the time, the fluid will be added right in the hole that the dipstick is in. Obviously, you will need to make use of a funnel for this. Pour in a bit less of the fluid than what you drained so that you don’t overfill it. The correct amounts necessary should also be listed in your owner’s manual. Now, start the engine and let it run for a couple of minutes. At this point, you will need to check the fluid level. If it is too low, add a bit more fluid. Repeat this process until you have gotten it to the proper level. Try to avoid overfilling it. All that is left now is to dispose of the old fluid. This type of fluid is not exactly eco-friendly, so it is critical that you dispose of it properly. Make sure that you wear gloves and wash any residue of the liquid from your skin asap. Most of the auto parts stores will have recycling programs that will allow customers to drop off things like transmission fluid, oil, etc. The Globe and Mail – Do I Need to Change My Transmission Fluid? 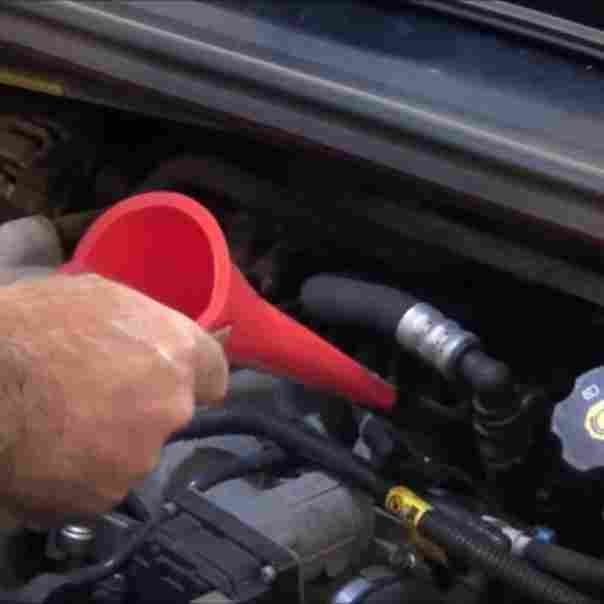 GoBDP.com – How Often Should I have My Transmission Fluid Changed?